Scottish church leaders have urged the UK Government to offer asylum to a persecuted Pakistani woman and her family. They said providing sanctuary for Asia Bibi, whose death sentence for blasphemy was overturned, would underline the country’s “continuing commitment to freedom of religion and belief”. 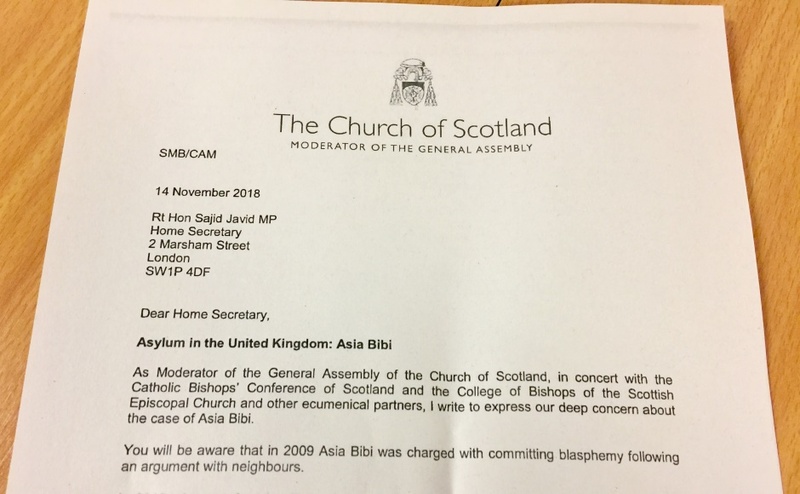 Seven church leaders have signed a letter written by Right Rev Susan Brown, Moderator of the General Assembly, in support of Asia Bibi. 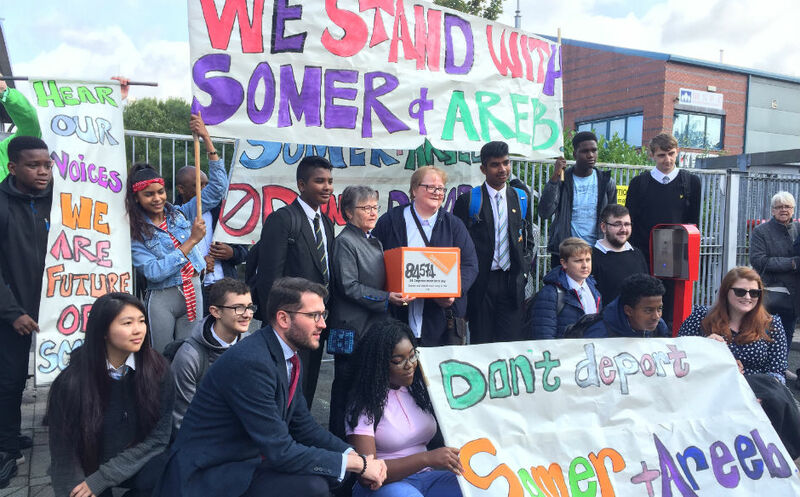 An open letter, signed by seven leaders including Rt Rev Susan Brown, Moderator of the General Assembly of the Church of Scotland and Most Rev Leo Cushley, Roman Catholic Archbishop of St Andrews and Edinburgh, has been sent to Home Secretary Sajid Javid. The church leaders said violent protests that have erupted in Pakistan after Asia Bibi’s conviction was quashed sharply highlights the dangers facing Christians in the country where blasphemy carries the death penalty. To that end, they have also reiterated a call on the Home Secretary to immediately give the Umeed Bakhsh family the right to remain in the UK because it was clear their lives would be in danger if they were deported to Pakistan. The family – Maqsood, Parveen and their sons Somer, 15, and Areeb, 13 – fled to Glasgow in 2012 after their lives were threatened due to their Christian faith. But the UK Government has repeatedly rejected their plea for asylum which has led to more than 92,000 people signing two petitions and the case raised in the House of Commons. The letter states: “Asia was acquitted on 31 October, 2018. “Although she has been reportedly reunited with her husband and three children, she needs round the clock protection as Tehreek-e-Labbaik (an Islamist political party in Pakistan) has called for her to be hanged and there have been several cases of extra-judicial killings of people charged with blasphemy in Pakistan. “The threat to Asia and her family and supporters is real. “The root cause is, of course, Pakistan’s Blasphemy Laws and we urge the UK Government to do all in their power to advocate for these laws to be amended to prevent their misuse and to promote tolerance and harmony between faith communities. Scottish churches have connections with Pakistan that go back to 1857. The letter states: “We stand with the Christian community in Pakistan and request that the UK Government takes action to protect minority faith communities and ensure justice for all. “With all respect, we urge you and through you, the Home Office, to grant asylum to Asia Bibi and her family in recognition of the United Kingdom’s continuing commitment to freedom of religion and belief.